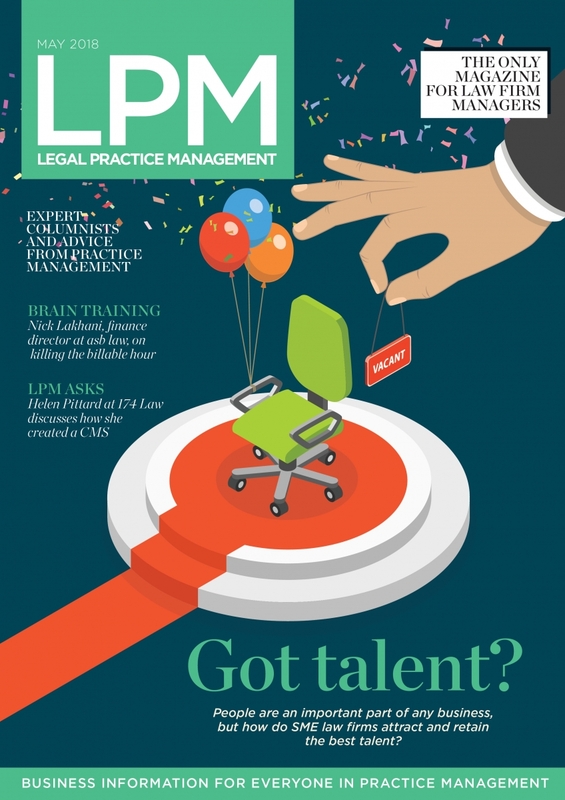 LPM May 2018: Got talent? Feature: LPM's HR agony aunt, Polly Jeanneret, explores some fresh ideas for finding and keeping the best people in your business. Brain training: Nick Lakhani, finance director at asb law, discusses killing the billable hour and finding NewLaw ways of working. Martin Palmer at Pulsant talks about productivity gains from using the cloud. LPM asks: Helen Pittard, head of dipute resolution and director of business development and marketing at 174 Law, on how she created the firm's case management system. Book review: Jason Rahman, practice manager at Sykes Anderson Perry, reads Profitability and Law Firm Management. Having problems downloading LPM magazine? Email David and we'll email you a copy instead.